Hey loves! Today is time for another imaginary outfit! 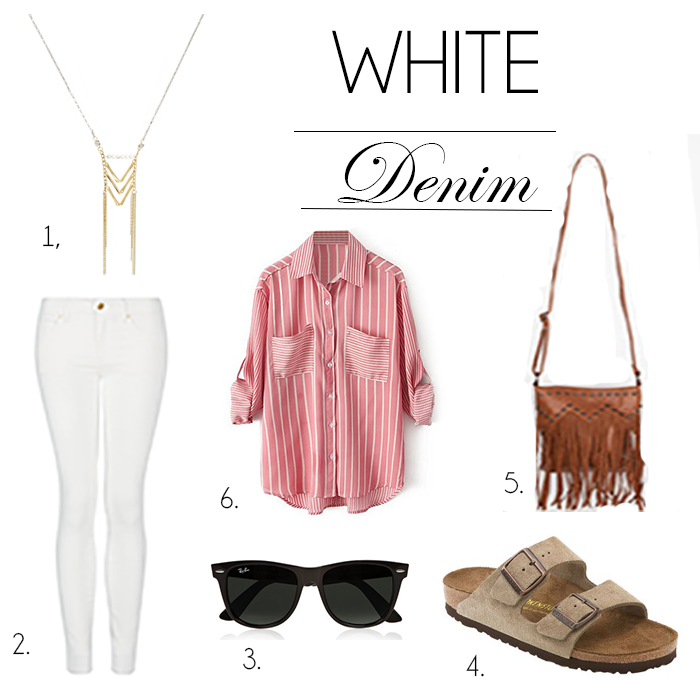 I’m probably one of a few women who don’t own white jeans, but I have sooo many combinations in mind. It’s perfect for summer, and it goes well with so many styles. What do you think about this one?